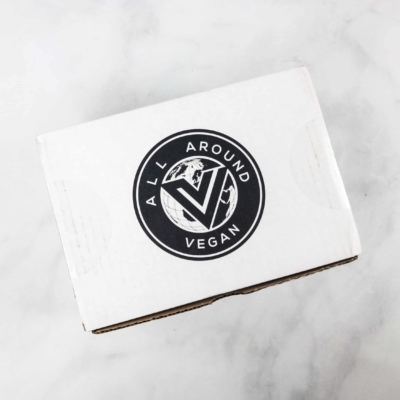 All Around Vegan Box is a subscription that caters to vegans and those interested in veganism. 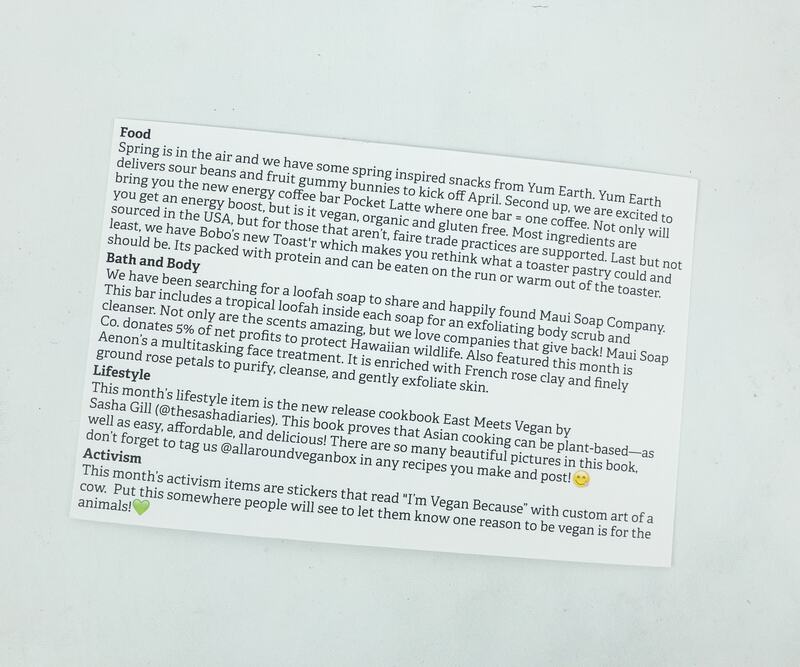 Each box includes items from 4 categories – a food item, a lifestyle item, a bath and body item, and an activism item. All products are cruelty-free and are curated to further support, promote, and enhance the vegan lifestyle. 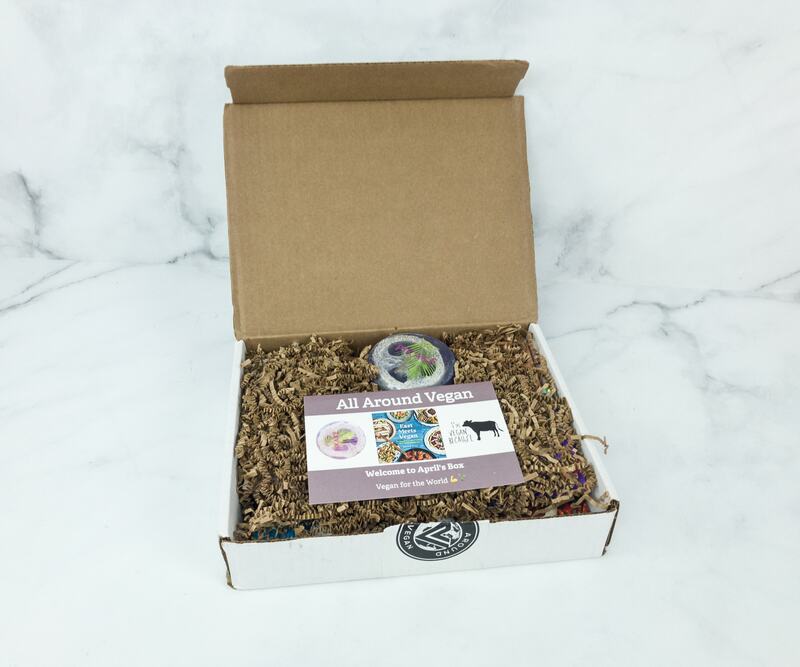 DEAL: Get 15% off your first subscription box! Use coupon code HELLO15. This is what it looks like upon opening. A card is on top of the items covered with brown squiggles! All the items in this box are packed and arranged to prevent them from being jostled around. 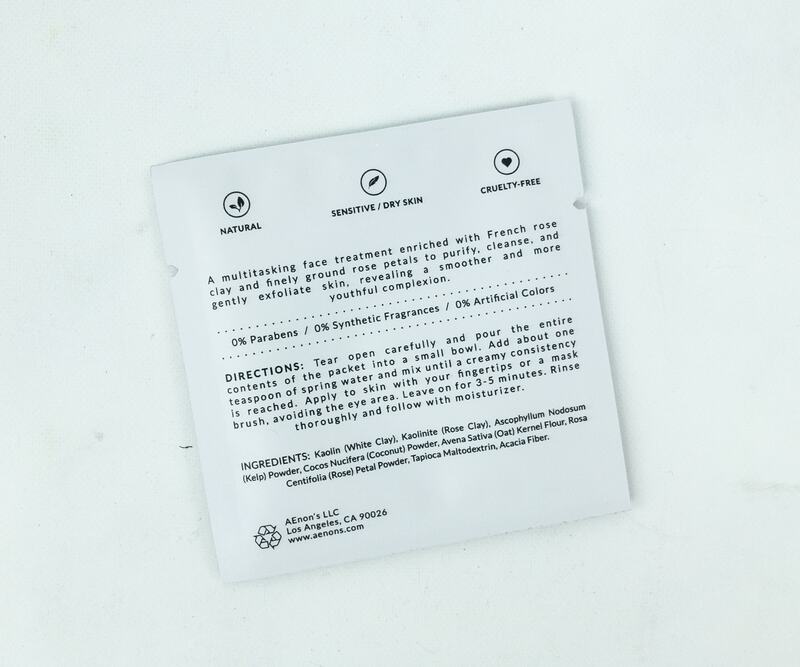 The information card contains everything you need to know about the box contents. 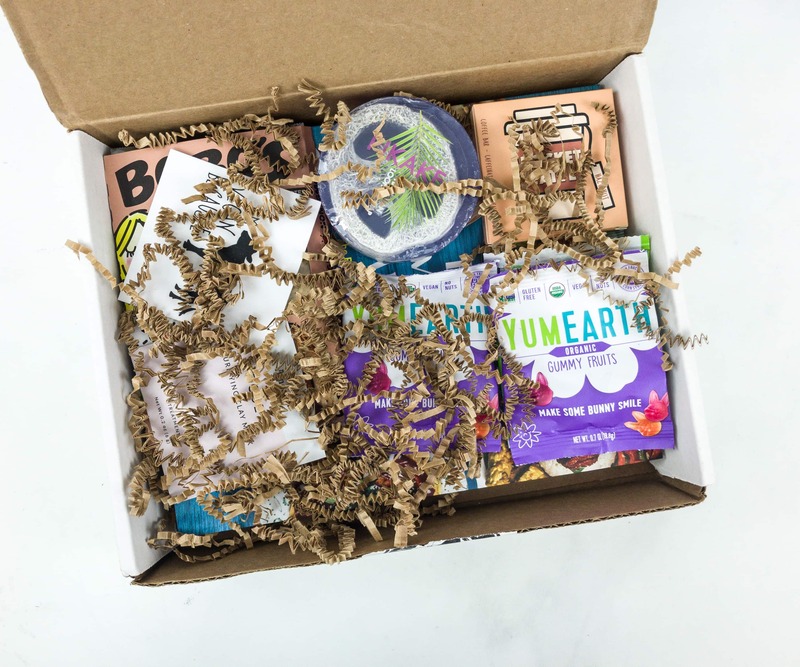 This month’s box includes food items, bath & body items, lifestyle items, and activism items. 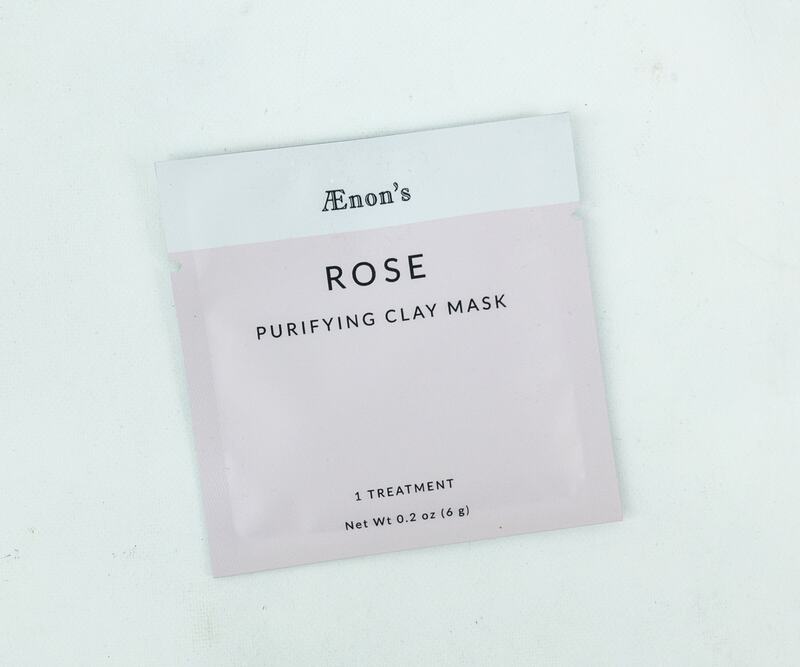 Aenon’s Rose Purifying Clay Mask ($4) Formulated with no harsh ingredients, this multi-tasking face mask helps cleanse, exfoliate, and purify the skin with the help of French rose clay and finely ground rose petals. It’s cruelty-free and ideal for sensitive, normal, and dry skin. 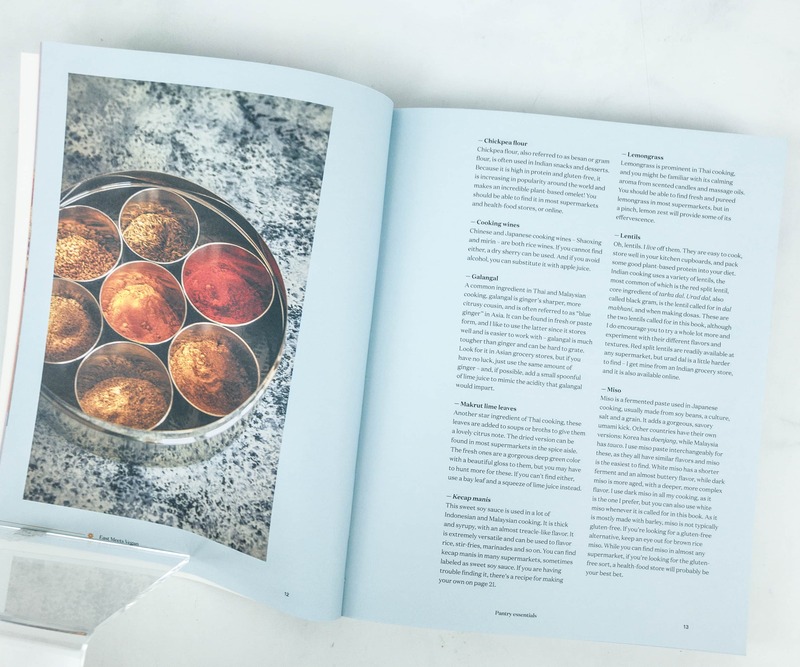 You just need to add water to create your own facial, and you also have the option to customize your mix by adding other natural ingredients. I like how versatile it is! 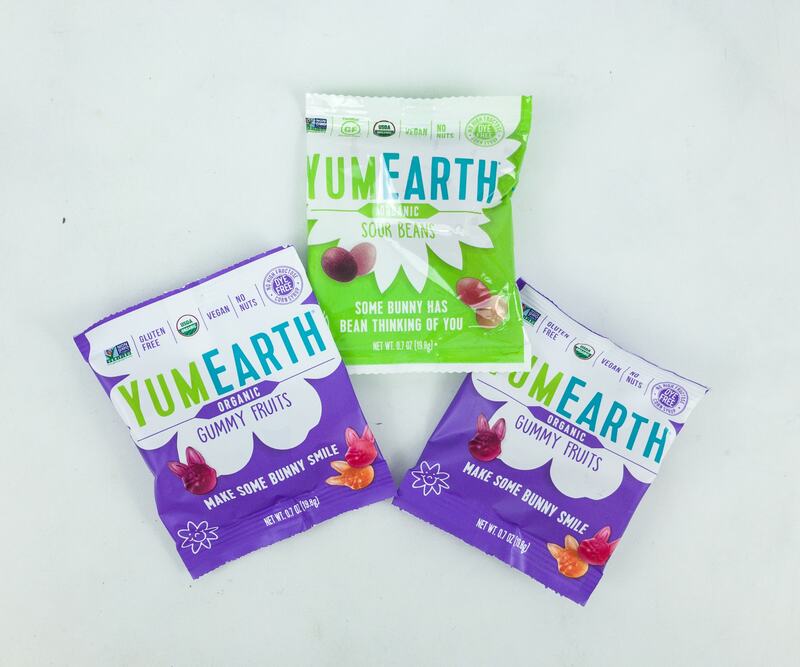 Yum Earth Gummy Fruits ($0.62) These gummy fruits are made with natural ingredients, and you know it’s genuine goodness when you actually take a bite. Also, they come in fun shapes that the kids loved. I got two packs but they were easily gone. The flavors include Banana Blast, Strawberry Smash, Very Very Cherry, and Perfectly Peach. Yum Earth Sour Beans ($0.52) I love the tartness of these treats. Each piece is juicier than your usual jelly beans. The treats come in four fun flavors: Pomegranate Pucker, Perfectly Peach, Awesome Apple, and Mango Tango! 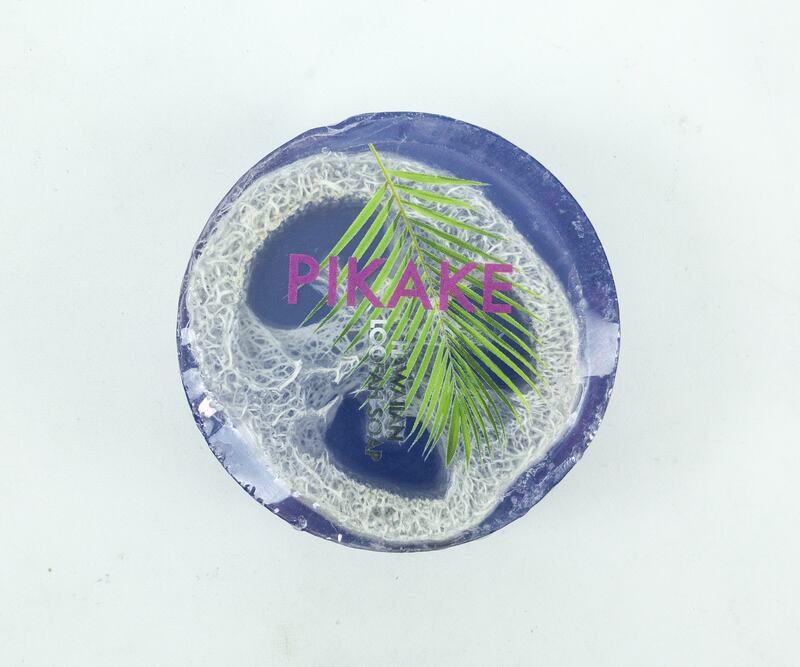 Maui Soap Company Pikake Tropical Loofah Soap ($7.99) This soap comes with a piece of loofah inside it. It’s made by Maui Soap Company which has a beautiful motive to protect the Hawaiian Wildlife by donating 5% of its profits! The soap is made of Pikake, an exquisite flower native to Hawaii. It smells relaxing and rejuvenating. Aside from the flower, it also contains Pacific Ocean sea salt and Hawaiian Kukui oil that exfoliates and keeps the skin smooth and healthy. 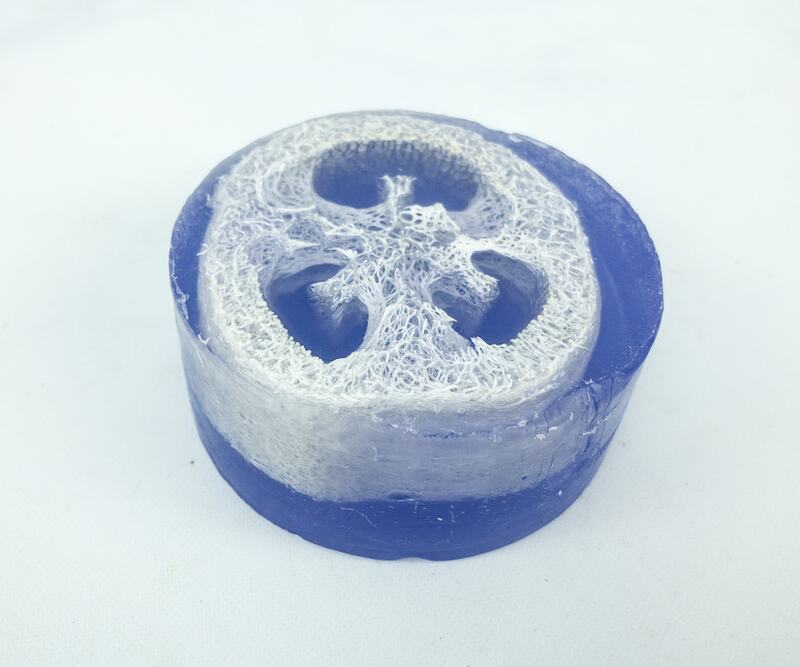 As you use the soap, the loofah also serves its purpose by scrubbing all the dirt, impurities and dead skin cells off your body! I love how they designed this soap and it smells SO amazing. Pocket Latte Hazelnut Coffee ($2.99) When your day starts really busy, you won’t even be able to grab even a cup of coffee. 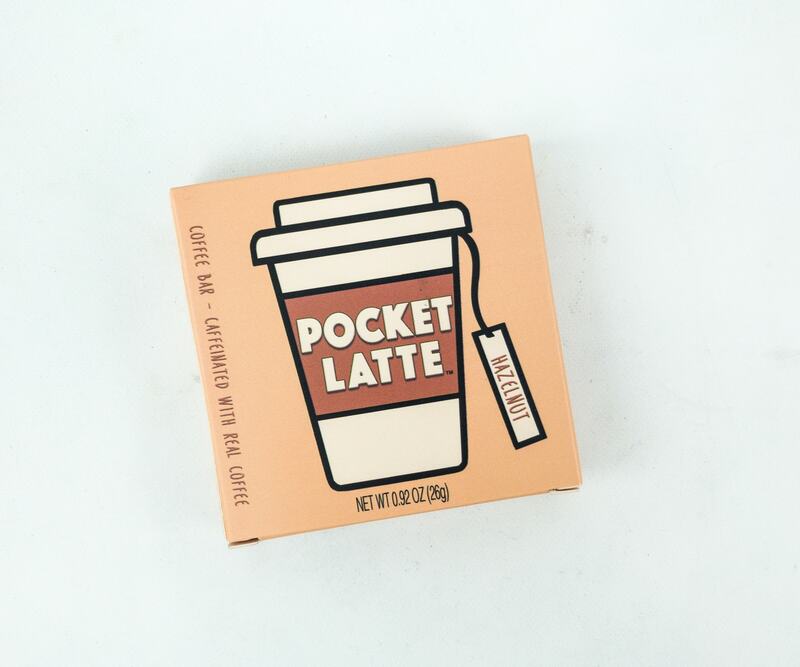 Pocket Latte came up with a solution by making a coffee bar that you can grab while you’re on-the-go. It has a light coffee taste, and a hazelnut scent. 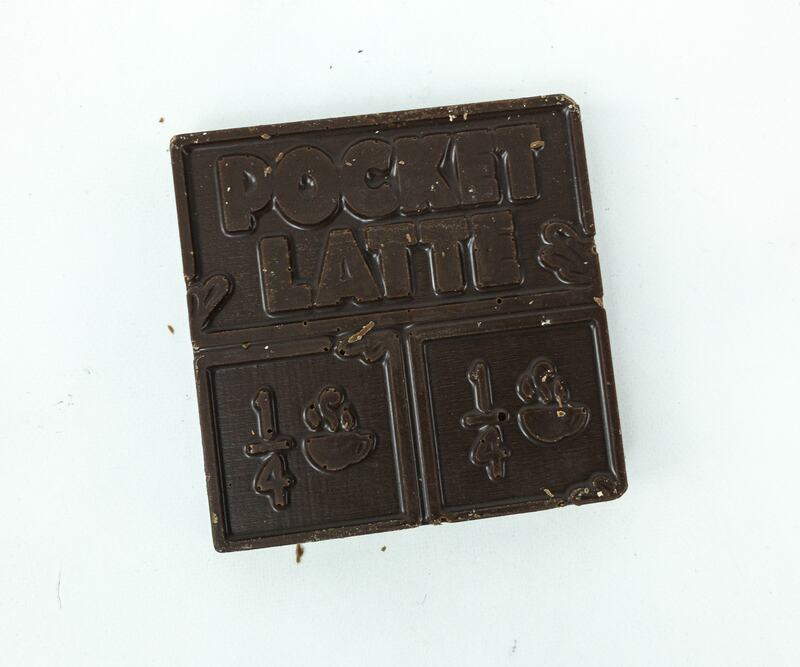 One bar is said to be equivalent to one cup of coffee. It even has a cute design, and you can also watch how much coffee you already had (eaten). 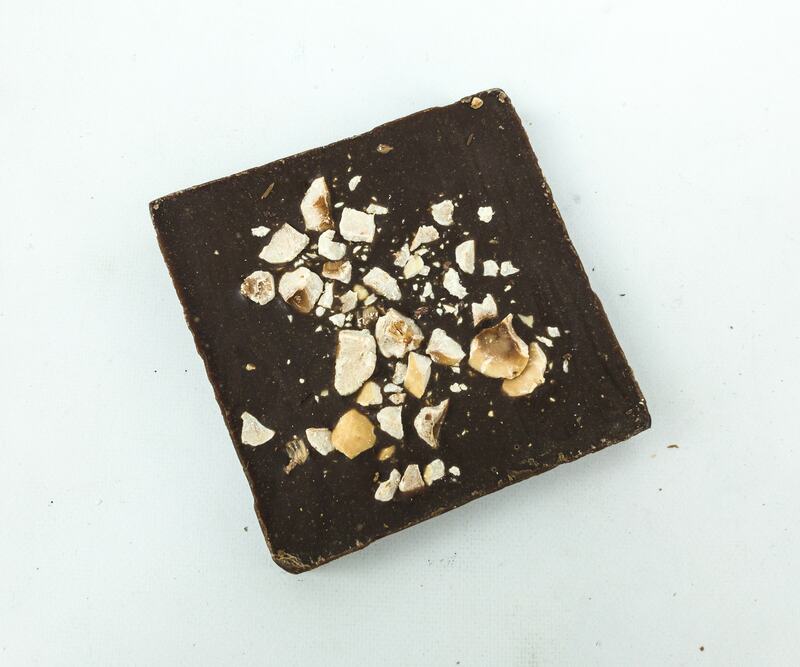 There are plenty of hazelnut chunks at the back of the bar. However, I am really not into coffee so it’s my husband who enjoyed this one/gleefully carried it off. 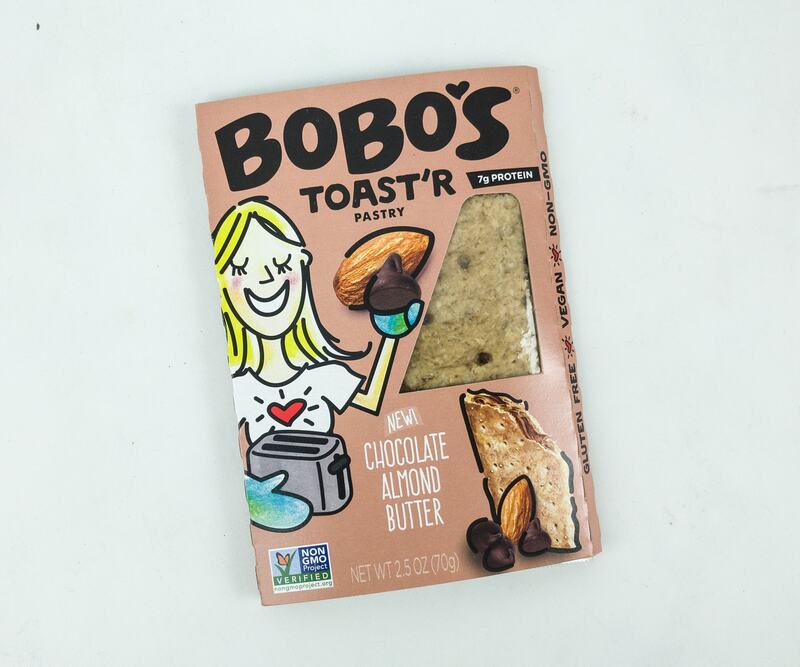 Bobo’s Toast’r Chocolate Almond Butter Pastry ($2.49) This pastry makes it easy to enjoy chocolate nut butter whenever you want, may it be for breakfast or a snack in between meals. It’s also packed with protein so it’s really a good breakfast choice! 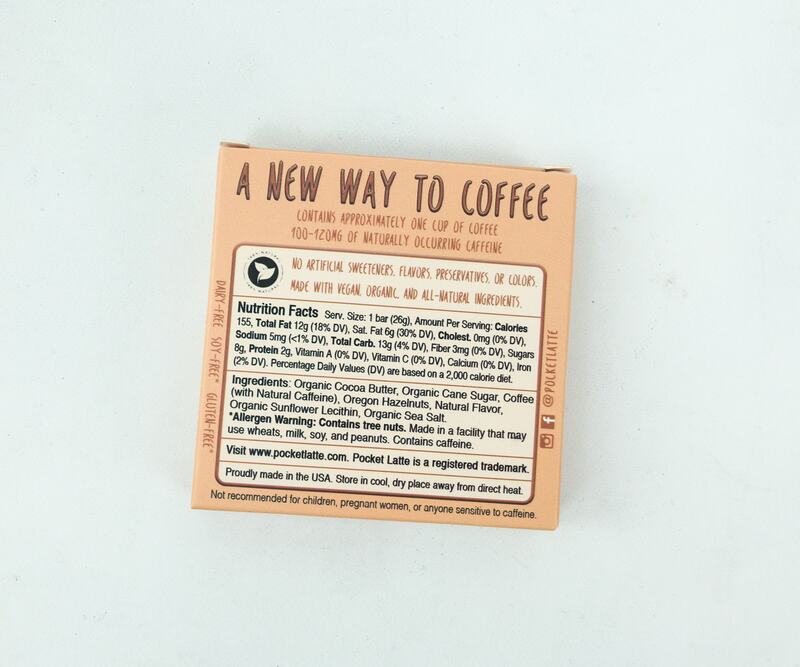 Each bar is beautifully packaged, but you have to remove it before heating. You can use a toaster or a microwave. The instructions are at the back of the packaging. You can see how they filled the pastry up with chocolate and almond butter, and the texture is also good. 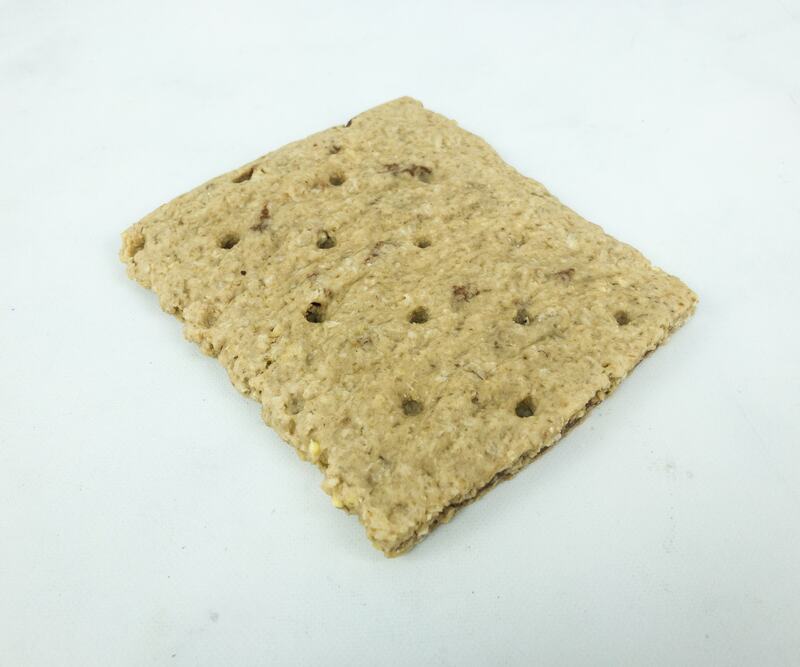 Like what they said, it will make you rethink of how your toaster pastry should be! 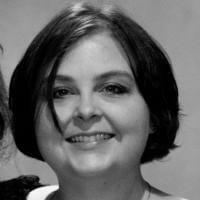 I think it should be like this one! 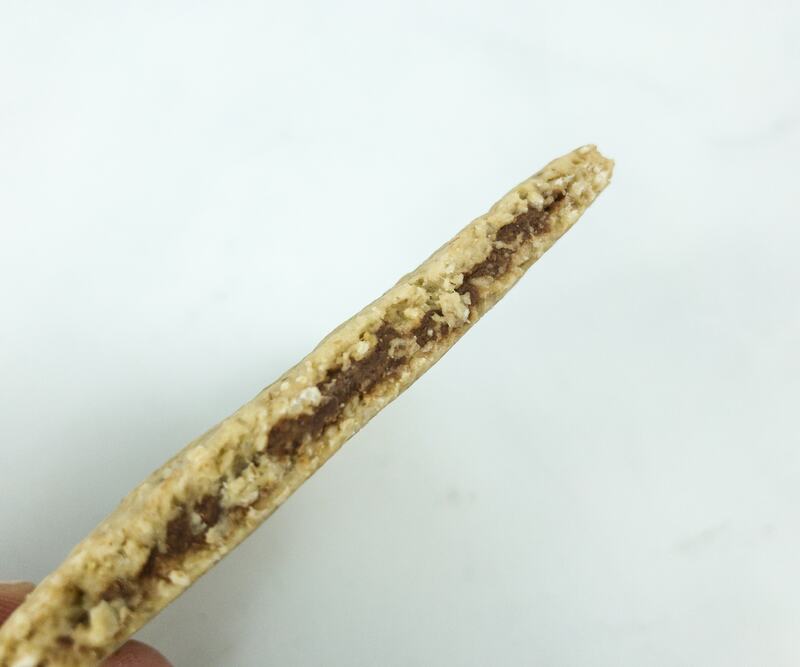 The pastry is stuffed with delicious choco nut butter all throughout, so every bite is really delightful! 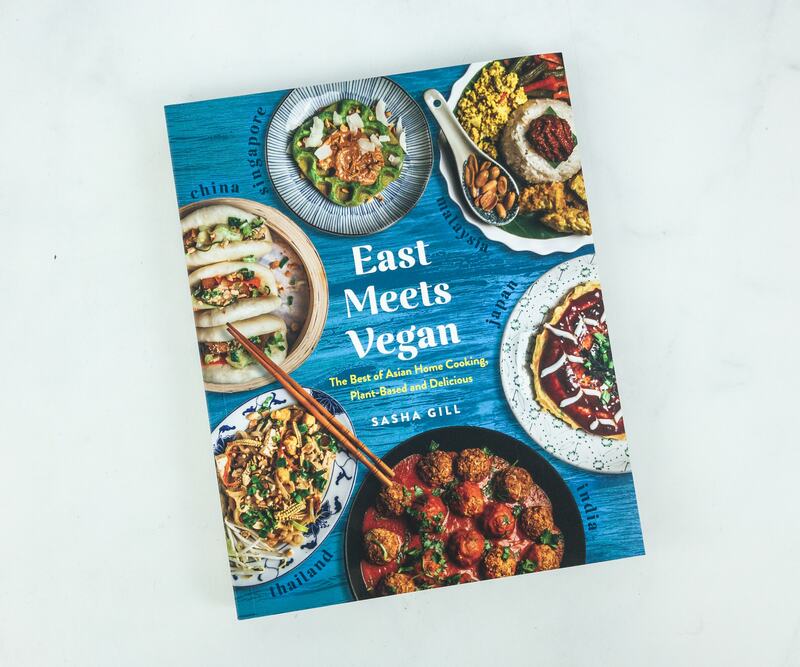 Asian cuisine is well-known for tasty and delicious meals, and this cookbook will introduce us to more types of Asian food, and they’re all vegan! 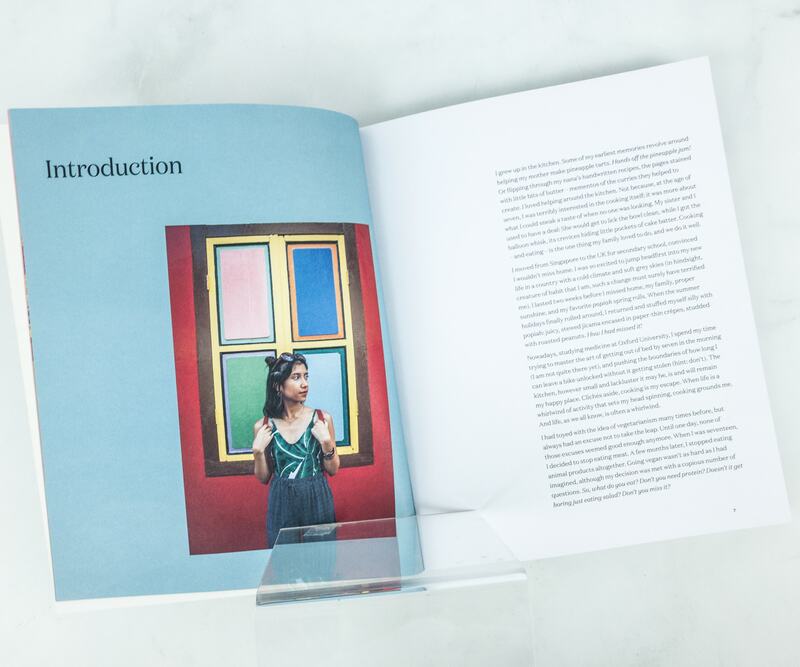 The introduction part is fun, and the cookbook is full of beautiful and colorful photos! 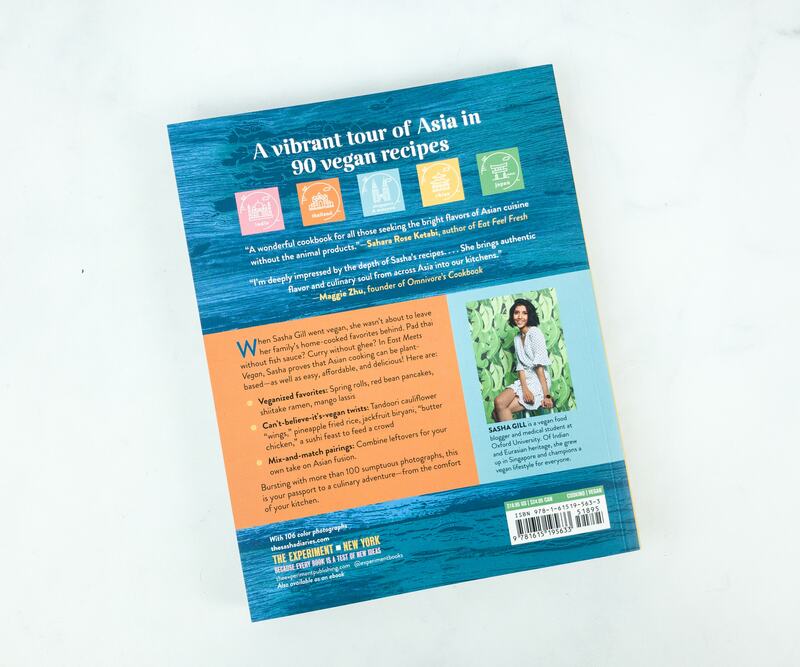 It’s like touring Asia with all the included recipes! Here are some of the known and tasty ingredients widely used in Asia! 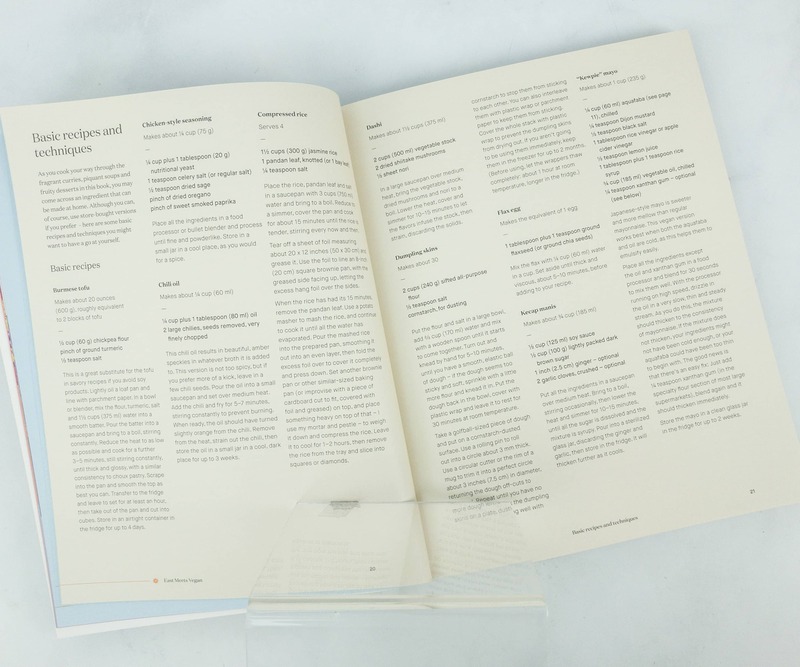 It doesn’t just include recipes and ingredients, but useful techniques as well. One of the most popular dishes in Thailand is curry. 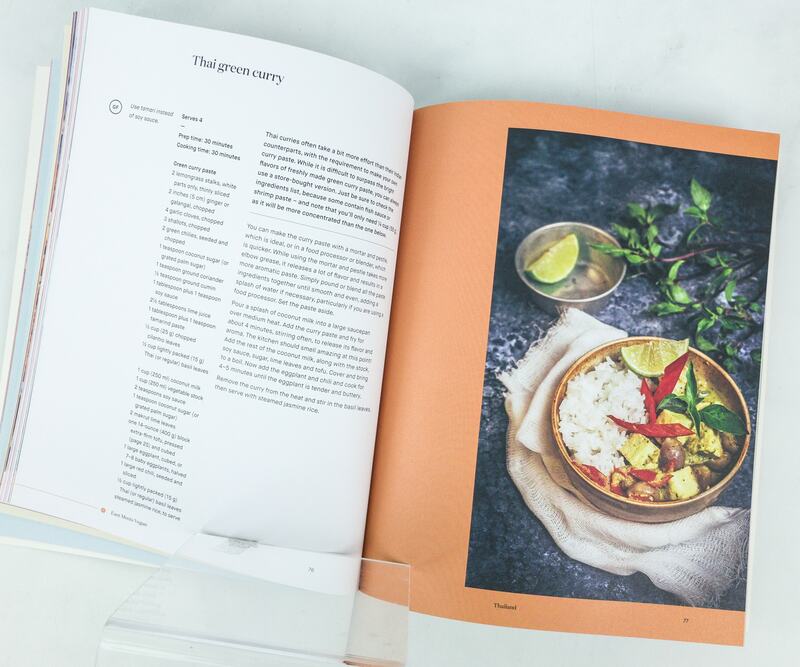 We’re so excited to try out this Thai green curry recipe featured in the booklet. 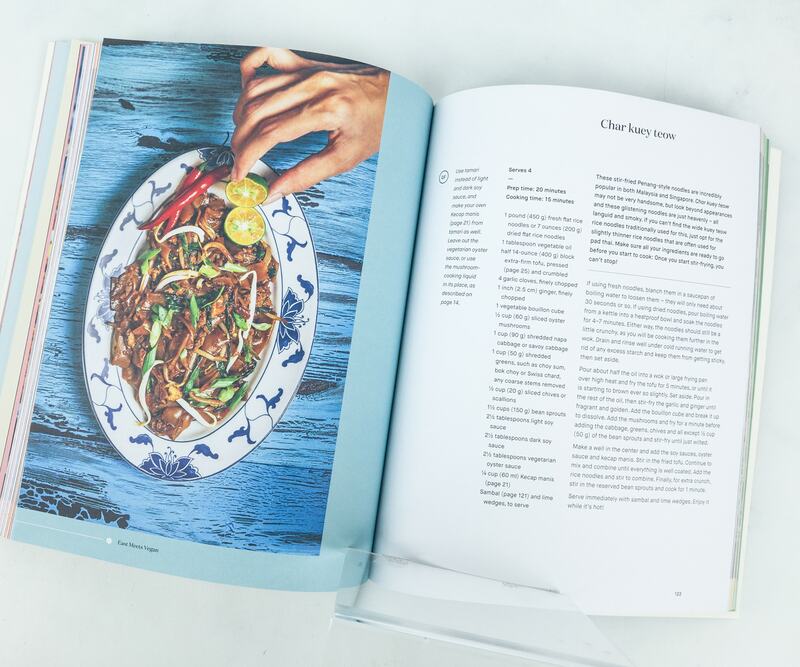 South East Asia loves these “stir-fried cake strips,” and it’s even considered a national favorite in Singapore and Malaysia. 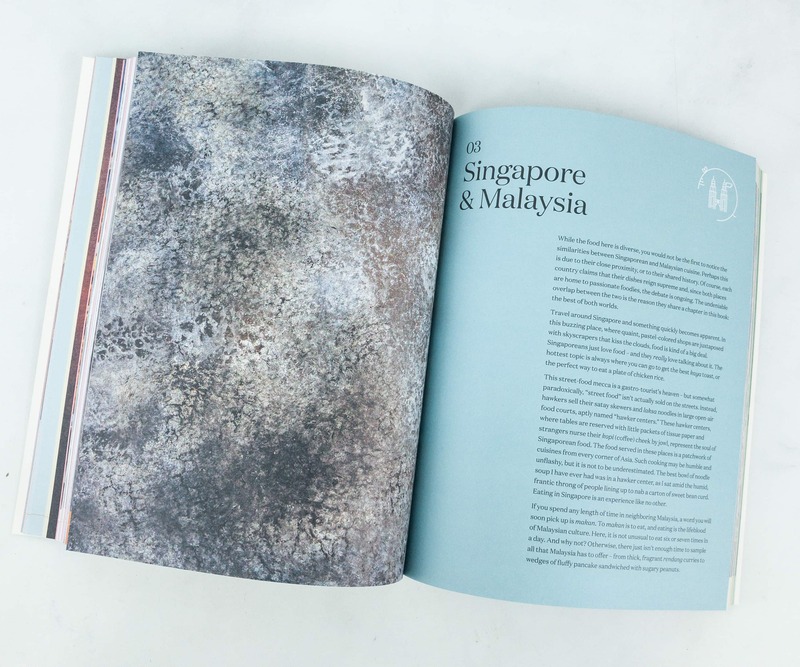 Singapore and Malaysia are known for many delicious dishes, and since we’ve been to Singapore, we can’t wait to recreate some of our fave dishes vegan style! 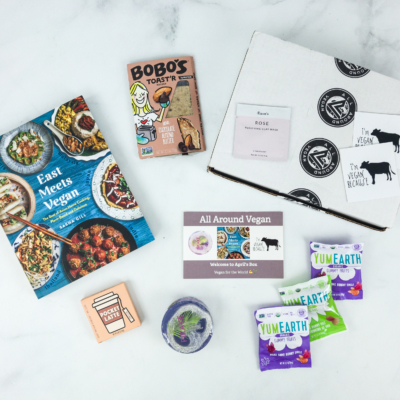 The All Around Vegan Box is giving us a chance to know more vegan products. 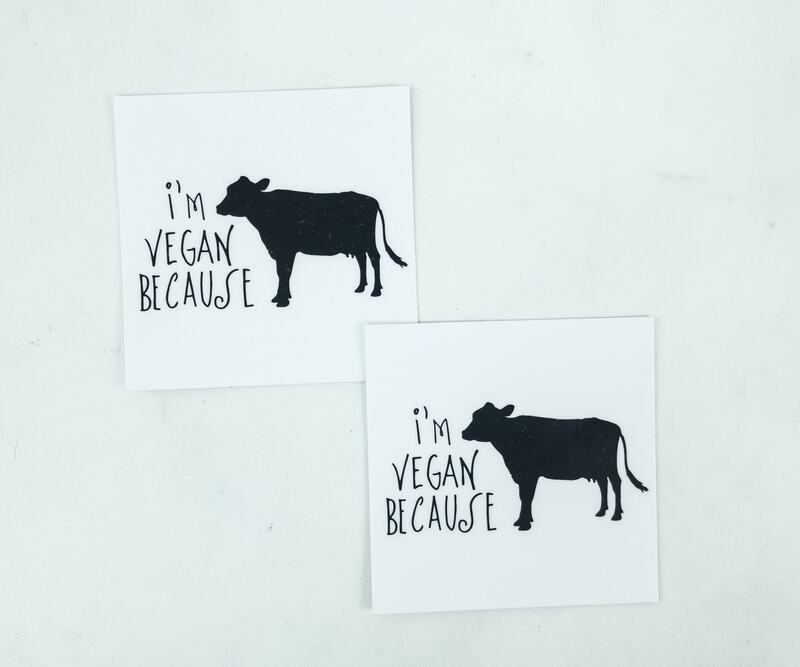 They are also giving vegan companies the chance to be known, so it’s a win for both sides. 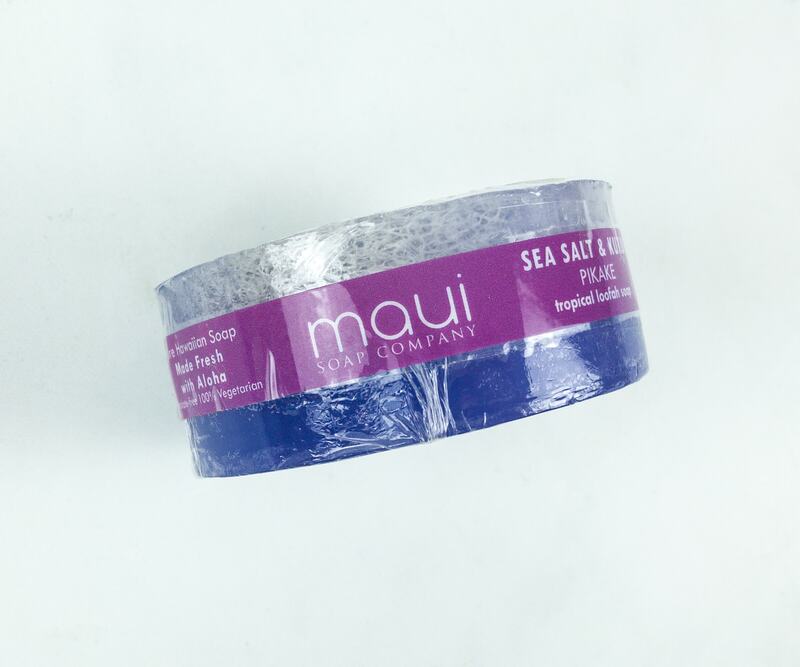 They even feature brands that support good causes like Maui Soap Company which helps protect the Hawaiian Wildlife. 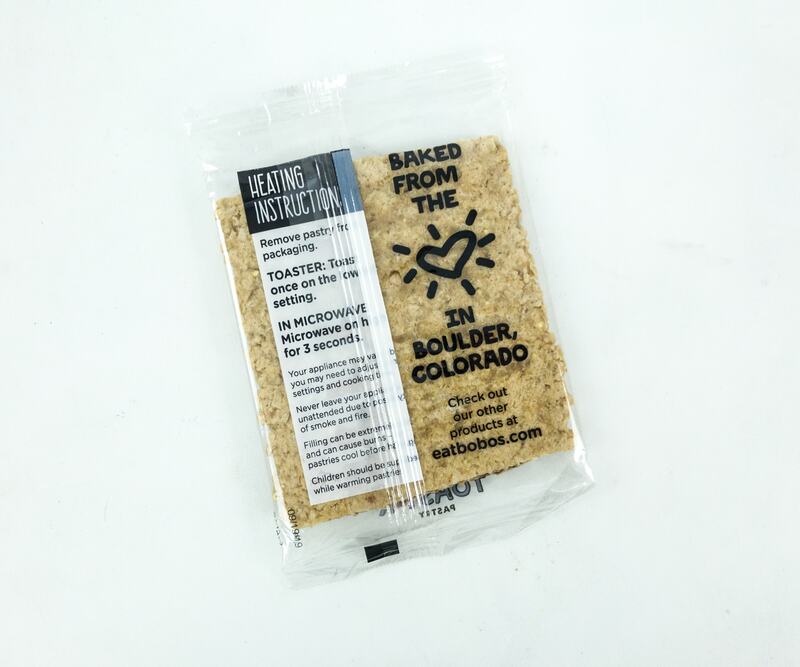 It feels good that we were able to play a great part for those causes, aside from being able to use great vegan products. 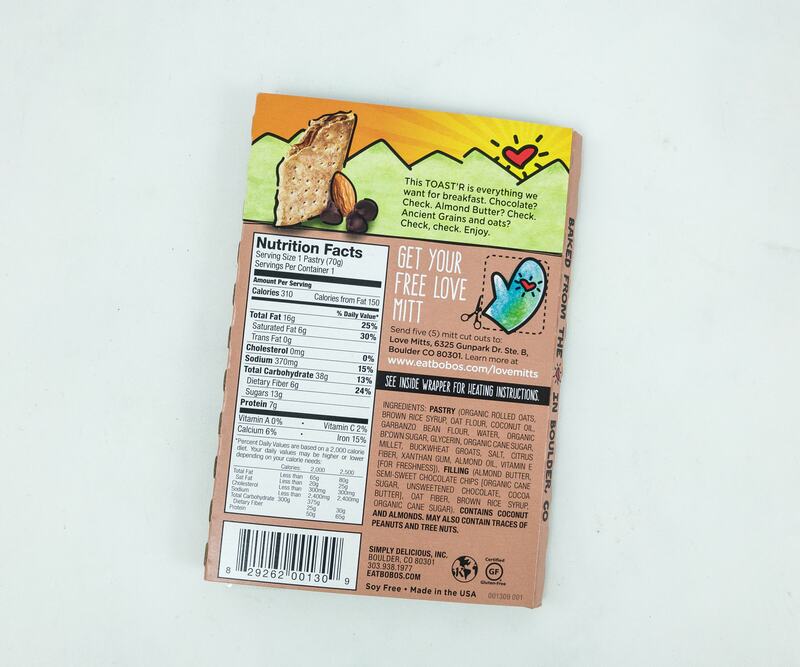 Of course, we love the Yum Earth treats, and the toaster pastry which is filled with chocolate nut butter all throughout. The loofah soap is also fun to use, and I love how customizable the included facial treatment is. 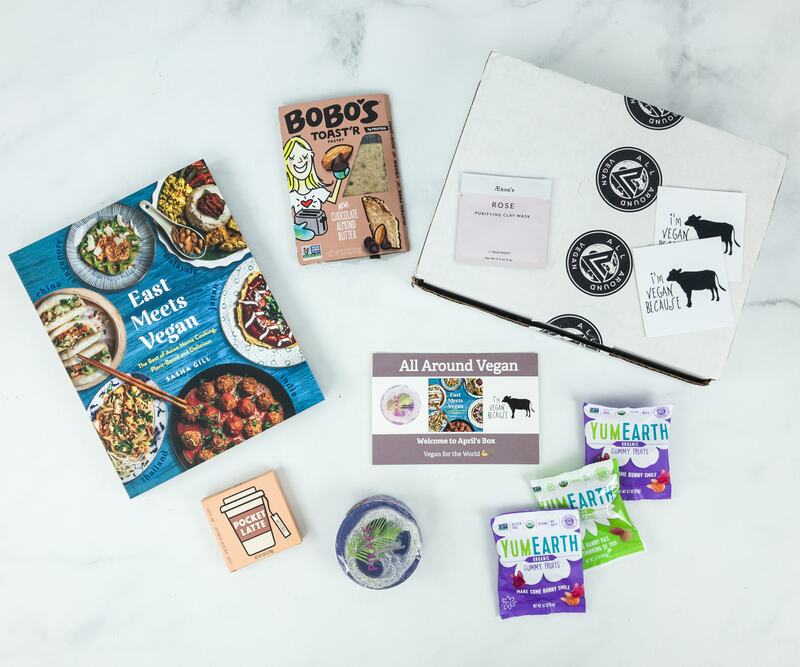 Overall, this is really a good box, and we feel great to be able to discover new things that are good for everyone! 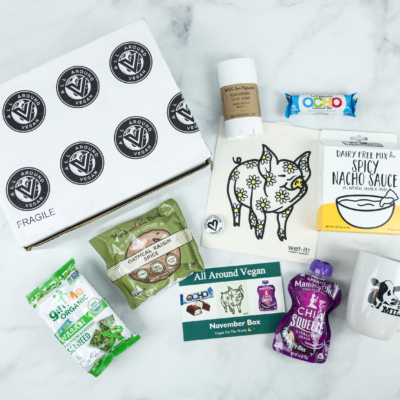 What do you think of this month’s goodies from the All Around Vegan Box? 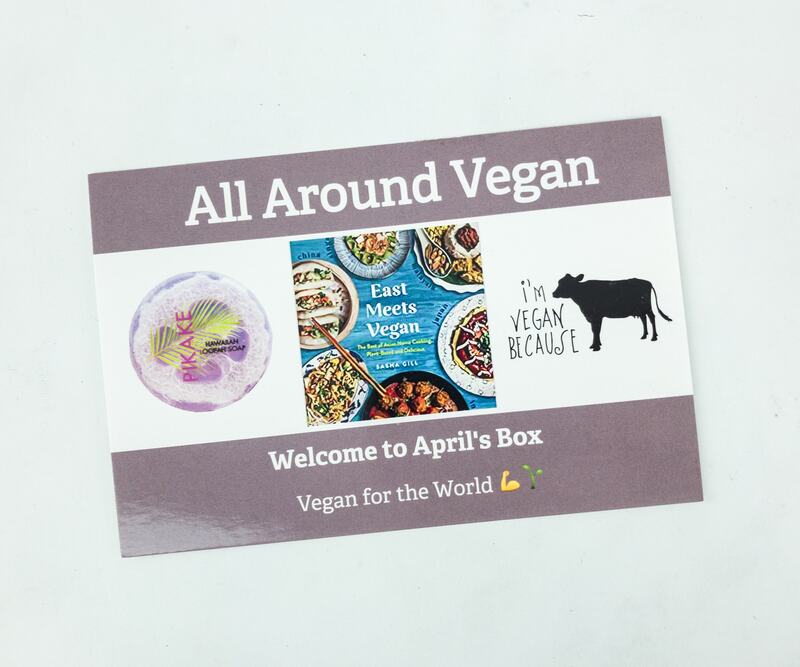 Visit All Around Vegan Box to subscribe or find out more! 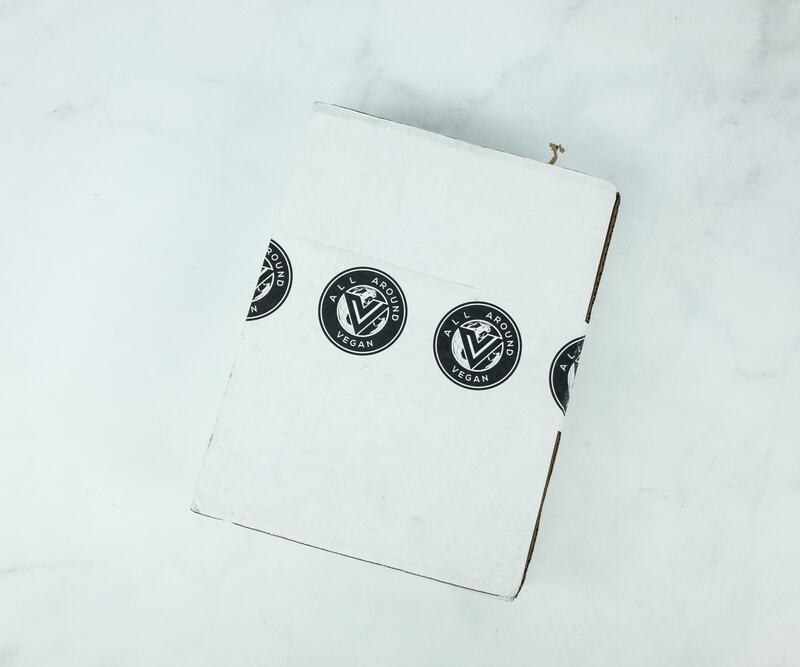 Get 15% off your first subscription box! Use coupon code Hello15.